Shield your eyes from danger, but not the fun. These new Dutch Military Surplus Goggles are designed to fit around a helmet and are perfect for motorcycle and ATV riding. You could wear them skiing and snowboarding, too. You get two lenses (1 clear, 1 yellow) and a carry bag. 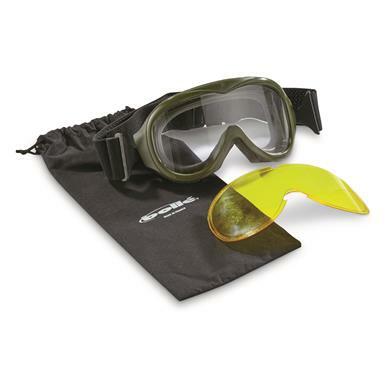 Best yet, these Goggles were made by famed sunglasses and goggles manufacturer Bollé and scream quality. Quite simply, these Goggles are a great value.